In the end, having an occasional amateurish fake news piece drop into your social media feed is far preferable to having a censor deciding what constitutes appropriate news. In a recent op-ed, Facebook founder Mark Zuckerberg implored the state to get more involved in governing the internet. "Every day, we make decisions about what speech is harmful, what constitutes political advertising, and how to prevent sophisticated cyberattacks," he said. "These are important for keeping our community safe. But if we were starting from scratch, we wouldn't ask companies to make these judgments alone." For starters, there's no such a thing as "harmful speech." There might be speech that offends us. There might be speech we disagree with. There's also speech that's inarguably ugly, dishonest, pornographic or despicable. Yet, "we" allow these unpleasant words to go largely unregulated because we value the broader liberty of being able to offer opinions without government censors dictating which thoughts are acceptable. Then again, if Zuckerberg wants to rid his platform of this "hate speech," no one is stopping him. Facebook allegedly employs a number of new mechanisms to achieve this very task. Good luck. But Zuckerberg claims that "we," as society, have a special responsibility to facilitate his efforts to keep people "safe" from reprehensible rhetoric. We have no such obligation. 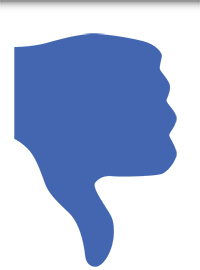 Facebook already offers users the ability to block or ignore accounts they find distasteful. If they don't like how Facebook is governing speech and interactions, they can quit. What Zuckerberg's plan does, however, is undermine competition. If a company like Facebook sets speech codes that are too stifling for users, another innovator will jump into the gap and create a platform that offers consumers what they seek. While I assume free political expression isn't the predominate concern of most social media users, it does exist. When government sets a "baseline" for what's acceptable, there's no longer any competition for open debate. Worse, deliberation over free expression would be moved to the political arena, where the influence of scaremongering officials, ideologues and rent-seeking tech corporations like Twitter, Facebook and Google would dominate decisions. "Lawmakers often tell me we have too much power over speech, and frankly I agree," Zuckerberg writes. It's true that the skewed manner in which social media companies regulate political speech is already hurting them. Many conservatives have rightly grumbled about the double standards employed by social media giants. Yet, do they really believe handing over Facebook's speech codes to censors is going to yield better results for open debate in the long run? Do they not remember that the Citizens United decision was the result of bureaucrats attempting to ban political speech? Do they not remember how easy it was for IRS officials tasked as arbiters of political speech to abuse their power? Have any of them seen a state's civil rights commission in action? Empowering political appointees to codify the meaning of "hate speech" on the internet would surely result in mission creep and a push to make unpopular topics off-limits — things like "transphobia" or "Islamophobia" come to mind, but there are an array of other topics on both sides of the ideological divide. Moreover, Zuckerberg wants to institute these plans in "common global framework." Well, Vladimir Putin recently signed a bill that makes it a crime to "disrespect" the state and spread "fake news." France, who Zuckerberg says is already working with Facebook, has passed hate-speech laws that allow the banning of political content. The same is true for many other nations. And let's not forget fully authoritarian nations like China. Are those the countries that Zuckerberg trusts to assist the United States in instituting a framework for acceptable internet speech? Further, Zuckerberg contends that we need speech codes to protect our "elections." There's nothing wrong with our elections — other than Donald Trump's victory rankling Democrats. There are, of course, already laws that make it illegal for Facebook to accept money from foreign nations attempting to inject themselves into U.S. elections. In a disorderly and widely accessible internet, it is impossible to stop them every time. Any crackdown on alleged "fake news" — one of the evils of the internet, according to Zuckerberg — can easily be manipulated to target inconvenient speech. If the Russian collusion episode should teach us anything, it's that fake news isn't always what it seems to be. And liberals might note that Trump's definition of "fake news" doesn't mesh with their own, either. Like every crony capitalist who's ever tried to get government to do his job for him, Zuckerberg is attempting to both extricate himself from the responsibility of running his site and attempting to hurt the competition. That's not surprising. In this case, however, the consequences go beyond mere rent-seeking.